I'm the biggest Disney fan (as you may be able to tell from my instagram feed). 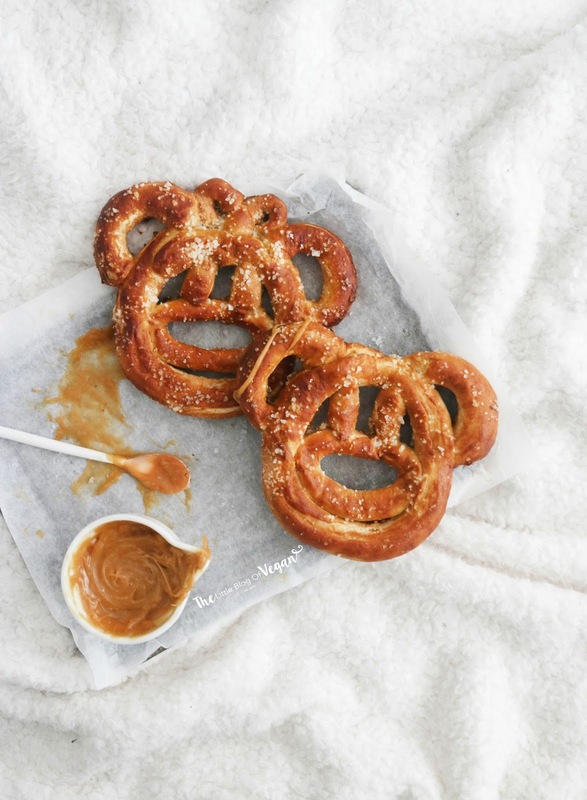 I was recently watching some Disneyworld vlogs when I spotted the Mickey Mouse Pretzels....I just had to re-create my own! They're too cute not too! 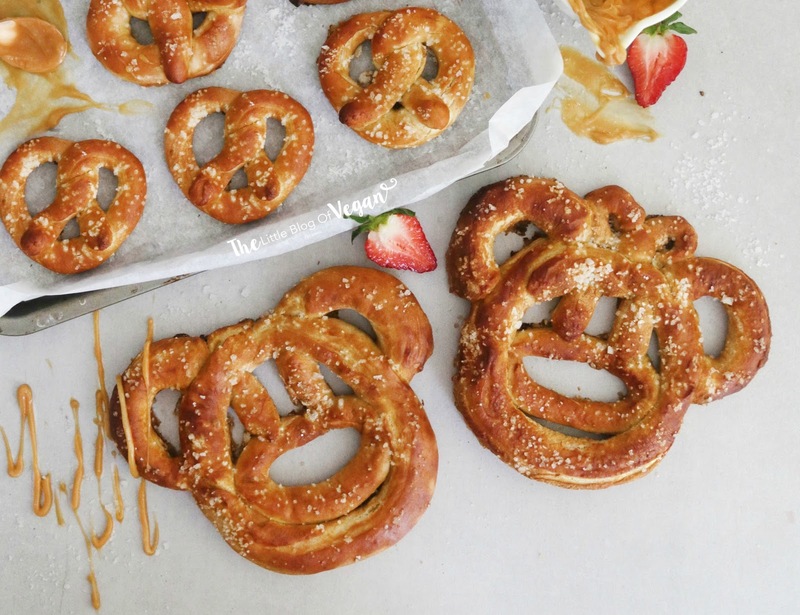 These pretzels are extremely easy to make and perfectly salty, the way a pretzel should be! They are soft pretzels, just like bread, absolutely delicious! You won't be disappointed with this recipe! Step 1- Place the yeast and warm water into a bowl and set aside for 20 minutes for the yeast to activate. Step 2- Place the flour, salt, sugar into a large bowl and mix. Step 3- Once the yeast mixture has activated (frothy on top), pour into the dry mixture along with the oil and begin to kneed. I used my Kitchenaid with the dough hook attachment, on a low/medium speed until a dough formed. You can always knead by hand. Step 3- Place the dough ball into a greased bowl, cover with cling film and a tea towel and set in a warm place and allow to rise. This will take around 2 hours. 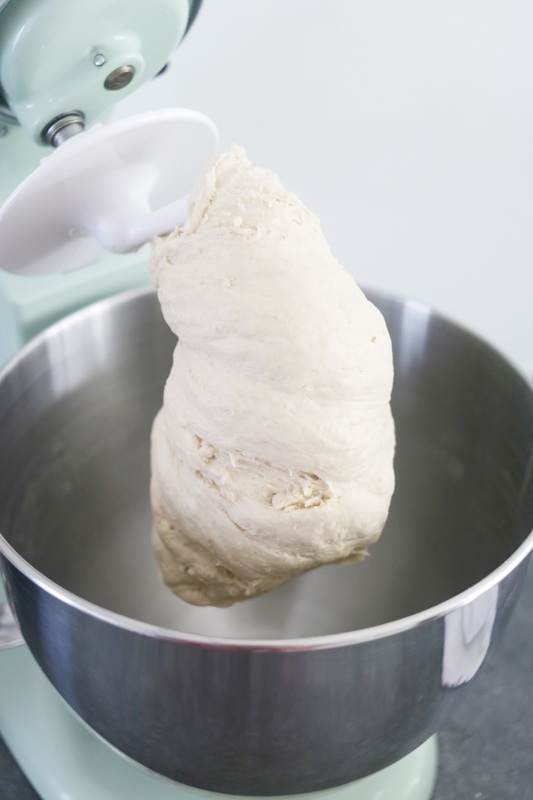 The dough should double in size. Step 4- Once the dough has doubled, form into pretzels. 1. Roll out a long rope of dough and stick the ends of the rope together with some water to make a large circle. 2. 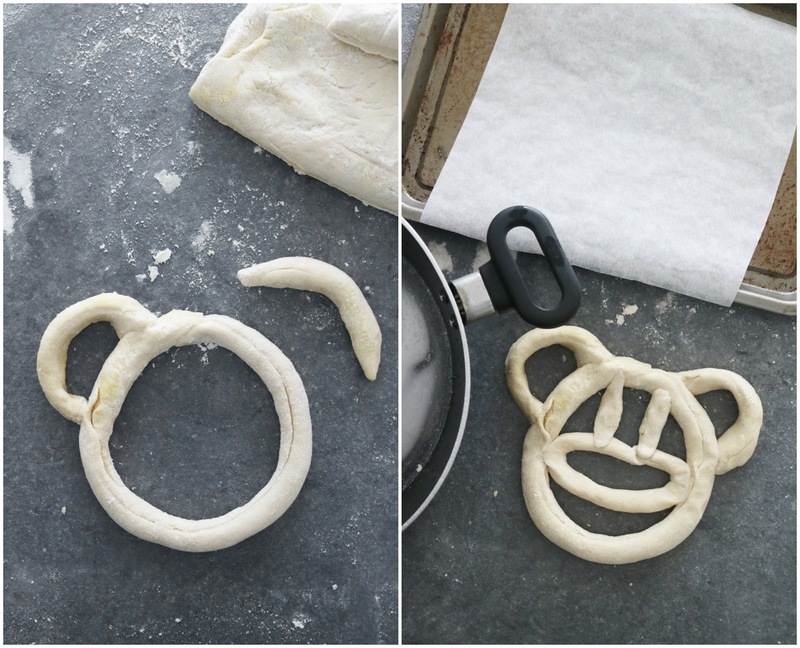 Add on 2 smaller 'half moons' of dough for the ears. 3. Roll out another round of dough for the nose and use water to secure it into place. 4. Add 2 little strips of dough for the eyes, making sure to secure them with water. 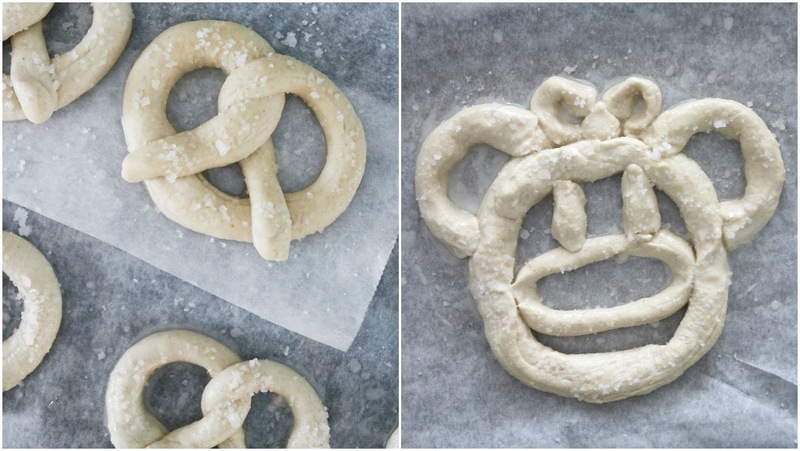 To shape a normal pretzel, check out my previous recipe here. Step 6- Dunk the pretzels in the pretzel wash. Step 1- Pre-heat your oven to 230 degrees c and line 2 baking trays with greaseproof paper. Step 2- Place the warm water, salt and bicarbonate of soda into a saucepan or bowl. Step 3- Dunk each pretzel into the wash and place onto the lined trays and sprinkle with sea salt. 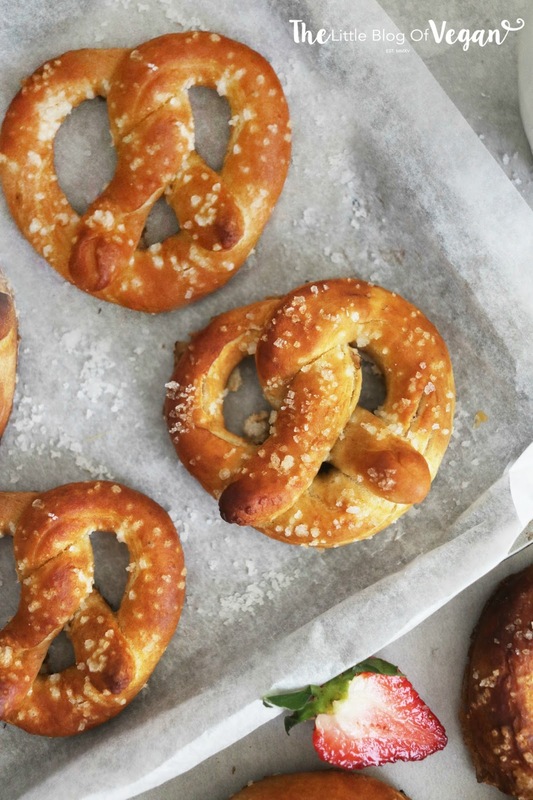 Repeat for all of the pretzels. Step 4- Pop the pretzels into the middle of the oven and bake for 8 minutes, then remove them from the oven, brush over some vegan butter and place back into the oven for 2 more minutes. This helps achieve the classic golden colour pretzels have. Step 5- Carefully remove them from the oven allow to cool on a cooling rack for 5 minutes before serving. Best enjoyed warm or on day of making. Nutritional yeast works the same as active dry yeast?